We buy houses no matter the condition or circumstance in St Charles, Missouri. It might take some taxing efforts to sell house fast in St. Charles, with its diverse consumer base and its standing as one of Missouri’s largest cities. House Sold Easy, nonetheless, considers this seat of St. Charles County as a market hot spot as we buy houses for investment purposes in the state of Missouri. According to recent industry data that we have gathered, home appreciation rates were steady at about 5 percent during the past two years, nearly at par with the national rate but a shade below the 7 percent for all of Missouri. This favorable trend has been confirmed by a separate market analysis showing a 5.8 percent increase home values over the past year and a 4.1 percent gain could be expected by 2017. Notably, the median per square foot list price of $125 in St. Charles is higher than the $115 average recorded for the St. Louis Metro. Be that as it may, St. Charles median home value significantly remains at an attractive price point for middle income buyers at $175,000, as per this research that we find valid as we buy houses in St. Charles. To sell house fast in St. Charles, however, can be pretty tricky because the market base here is a mix bag of blue- and white-collar workers. Neither of them dominates the other in terms of numbers unlike in other areas of Missouri where we buy houses. It is also interesting to note that St. Charles has more employees who work in math and computer-related occupations than 95% of comparable U.S. cities. In addition, the city’s population has a high percentage of college students and new graduates pursuing their careers within St. Charles. This yet adds another market dimension to consider when on the track to sell house fast in this city. We have practical ways though for selling homeowners to sidestep all the market complexities which need to be addressed for a quick sale of a property in St. Charles. At House Sold Easy, we buy houses knowing that many property owners don’t have the time and resources to closely examine each and every quirk of the housing market they’re in. This is especially so for folks facing a foreclosure or a quick relocation. For them, it is certain that cash is king, and that is where we as longtime property investors can come in. 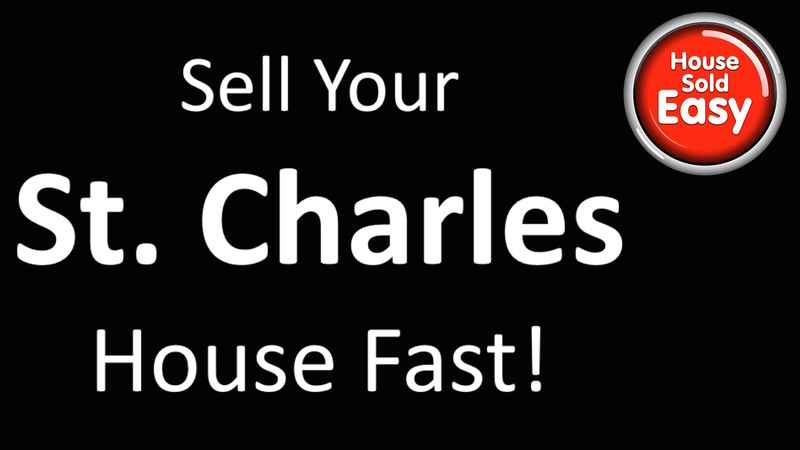 At House Sold Easy, we buy houses in cash in St. Charles and other places in Missouri. Given our expertise and track record of over 10 years in the market, we can offer the best price to property owners who need to sell house fast anywhere in the state. Leave the brunt of the work in the selling process to us. In a matter of days, we can close a deal at terms fair to the seller and to us, the buyer. Call us anytime at 636-525-1566. We’ll show you our trustworthy approaches that have enabled many to sell their house fast in St. Charles and other parts of Missouri.